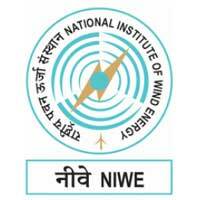 NIWE Recruitment – National Institute of Wind Energy (NIWE) Job notifications for Project Engineer (AP) & Junior Engineer (OS). The detailed eligibility and application process are given in below. First Class M.Sc Atmospheric Physics/M.Sc Meteorology from a recognized University/ Institution. Three Years Diploma in Electrical / Electronics Instrumentation Engineering with at least second class from a recognized University/Institution. Relaxations of SC/ST/OBC & PWD category as per govt rules. The selection process of Project Engineer & Junior Engineers will be based on Written Test and/or Interview or both. How to apply NIWE Recruitment for PE/JE? All interested and eligible candidates can download an application form in NIWE website www.niwe.res.in and send duly filled application form along with required documents to the following postal address on or before 7 February 2019.